Day 11 of our 12 Days of Christmas Cookies brings alfajores, a traditional South American treat. 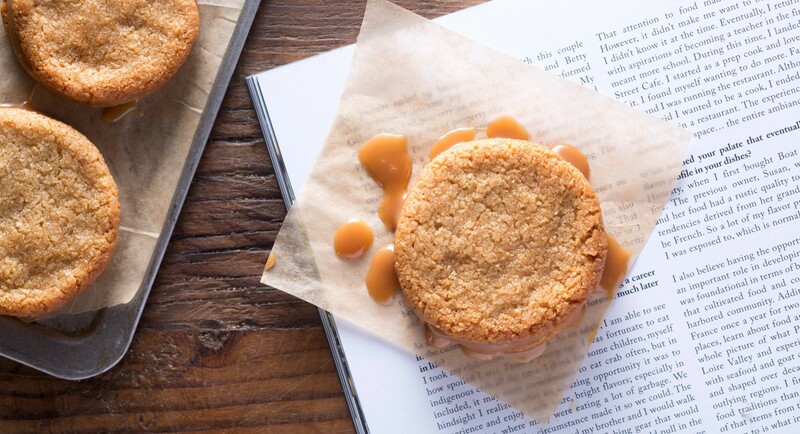 Our version is made with raw pecan and coconut flour, and finished with creamy caramel sauce. Mmm. Place coconut flour, pecans, baking powder, salt, and sugar together in the bowl of a food processor fitted with the blade attachment. Process until the pecans are finely ground. Add in butter, vanilla, and egg white and pulse until the dough comes together. Form dough into a log 1-1/2 inches in diameter and wrap in parchment paper. Chill 2 hours. Preheat oven to 350 degrees and line a few baking sheets with parchment paper. 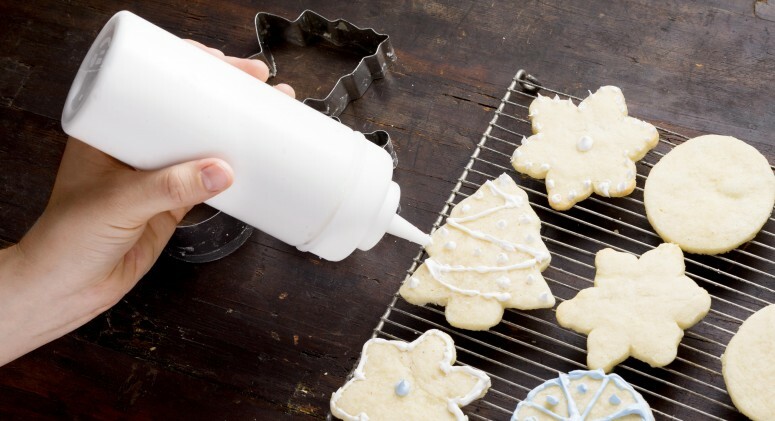 Use a sharp serrated knife to slice dough into 1/4-inch rounds. Place cookies an inch apart on lined baking sheets. Bake 9 to 11 minutes until golden brown around the edges. Cool completely on baking sheets before removing. 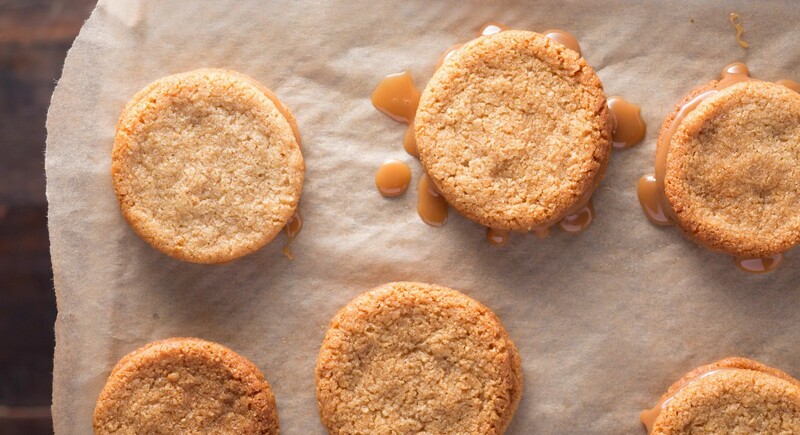 To fill, turn half the baked, cooled cookies upside-down and spoon a small dollop of caramel sauce into the center, spreading slightly outwards. Top with remaining cookies.